Most Workers Compensation Claim Reserves begin when the data input division of a carrier sets the claim up and puts on an automatic reserve. The automatic reserve sets at usually a nominal amount for a medical only or lost time claim. Medical only workers compensation claim reserves usually begin at a level of $250 – $750 depending on the insurance carrier/TPA and the claim jurisdiction. Lost time workers compensation claims reserves usually commence at a level specific to the carrier/TPA. A claims supervisor will often input the reserves before assigning the claims to the respective claims adjuster. The automatic or initial reserves function similarly in lost time or medical only claims. The initial reserves allow the claims staff to pay small medical bills and possibly pay the injured employee for their time out of work past the waiting period. The above scenarios seem easy to understand. At 60 days, the adjusters adjust the reserves for the lifetime of the claim – very straightforward. I have three loss runs in front of me that I am reviewing – not all at the exact same time. The loss runs each from different carriers has totally different representations for the term Total Incurred. The confusion for an insured was finding out what the outstanding Total Reserves were for that file. In other words, what does the adjuster think the claim payout will be in the future for the claim? However, that total number appears nowhere on the loss runs. The reserve breakdown was excellent. The Total Outstanding Reserves figure would have been nice. A workers compensation expert would have no problems understanding the workers claim reserves and other figures on the loss runs. However, a standard way of reporting the medical, indemnity, and expenses paid and outstanding would save a large number of phone calls and emails to the worker’s compensation adjusters who are handling a certain set of files. Making an employer have to re-input claim figures into their own spreadsheets to figure out a loss run is counterproductive. Many carriers and TPAs produce loss runs whether online or on paper/PDF which can be read very easily. Kudos to those carriers/TPAs that provide easily-read workers compensation claim reserves. A recent WCRI Chart (Workers Compensation Research Institute) pointed out a hidden result that was picked up at least partially by a few bloggers. The chart below comes from a study the WCRI released on November 25th. An attempt was made to make the chart as readable as possible. Two areas came to light after examining this WCRI chart. 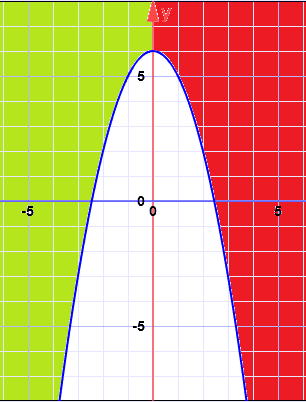 Two anomalies – one more pronounced than the other – became apparent very quickly. According to the WCRI article, the end of the study period was in 2016. The particulars of the study and how to access the study are provided later in this article. For reference – ASC is the acronym for Ambulatory Surgical Centers – standalone surgical centers. The Workers Comp systems in Virginia and Wisconsin base their costs and Usual and Customary – the acronym is U&C. No set payment can be anticipated by the Workers Compensation carriers or self-insurers in those two states. The charges for the outpatient surgeries can only be estimated with an educated guess. Usually, hospital outpatient centers (as most medical providers) do not post what the cost of a surgery will be until the bill is received by the carrier. Once again, as in the above example – in 2016 Indiana had no workers compensation fee schedule. 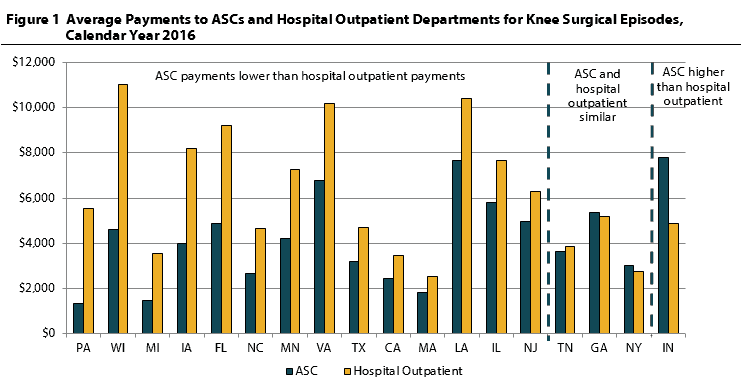 The ASCs reverted back to the U&C charges and billed workers comp payors at much higher rates than even the outpatient hospital surgical centers which are normally much higher than ASCs. 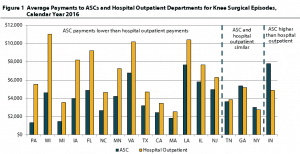 Once the Virginia fees schedule kicks in, their place in the most expensive hospital-based outpatient surgical center fees should reduce by more than a nominal amount. I am not sure if Virginia included outpatient hospital fees in their new fee schedule. You can read more about the study at this link If you are involved in any way with workers compensation medical payments, I recommend reading the article. The preceding link also provides info on how to obtain a copy of the study that generated the very telling WCRI chart. What Does Wt Represent on Experience Modification Sheets? Your company’s Experience Modification Sheets just arrived from the rating bureau or you just downloaded them. Experience Modification worksheets is also a correct term for the sheets. If you look at your sheets more closely, NCCI and the other rating bureaus have provided a variable that saves safe companies premiums and heavily penalizes unsafe employers. One of the most important variables is almost hidden on your Experience Modification Sheets. One of the variables denoted on NCCI Experience Modification Sheets sometimes makes or breaks a company;’s Workers Comp safety and risk management program. Almost all of the Independent rating bureaus and the WCRB (California Rating Bureau) including the NCCI have a Wt factor. Some of the rating bureaus may not have the factor listed – but it is very important. I was going to include an Experience Modification Sheet photo example. However, the best way to find the number (or factor) is for you to use your company’s sheets. Using your own numbers makes it easier to understand this important percentage. If you have your rating sheets, make sure you have the first page on top. The bottom right of the front page contains your Experience Modification Factor. If your E-Mod is below 1.0 – nice job! If the number is above 1.0, you and your company have some work to do over the next few months. This blog contains bucketfuls of articles on how to reduce your Mod. OK, look on the left side. We had better operate with a definition of what the Wt represents in the formula. This one is from NCCI. One can think of the Wt as a discounting factor of sorts. How? The Primary Loss used to be $5,000 and now is $15,000 for most states. Think of it as paying full price for a loss. No discounting factor applies to the Primary Losses. Anything above the 15,000 level is the Excess Loss where the discounting factors apply. The Excess Loss is discounted and stabilized with the Wt factor as the most important part of the formula. Great! Your company receives an indirect discount for Excess Losses. Do not let me lead you astray. The discount level is reached per claim, not for all claims in total. OK, let us look at 10 small claims versus one mega claim. So, does your company have a Primary Loss of 15,000 and an Excess Loss of 85,636? No, sorry! You are getting hit with a full undiscounted 100,636 on your Experience Mod. Why? Now the small losses seem actually large do they not? Does this seem fair? One large claim costing only 29,708 when the losses are the same as the 10 above claims that cost 100,636? Is the system fixed? Is it fair? No, and Yes are the answers. Now, we are three years later looking back at the claims Total Incurred for the 10 smaller claims and the one mega claim. (Yes, I realize that 100,000 is not really considered a mega claim). Ouch again! But you see how claims development can happen. These are actually taken from a loss run I worked with recently. Go back and look at the original 10 claim values in the preceding section. The E-Mod structure causes 10 claims worth 100,636 to be much more costly than the one large claim of the same value. For the record, the one large claim that started out at 100,636 ended up closing at a value of approximately $135,000. So, the 10 small claims ended up costing $300,000+ more two years later than the one large claim even though the original total value was the same. I have attended many (50+ and counting) rating bureau conferences in person since 2000. One of their main concerns was that safer employers were subsidizing the unsafe ones. I heard that statement in NCCI, WCIRB, and other conferences. The move of the Primary Loss from 5,000 to 15,000 looked to penalize unsafe employers even further. Repetitive claims always cost employers more than one large claim. One large claim can happen to the safest employer. However, a safe employer does not have a high number of claims. Even if you are self-insured, the same logic applies to your claim counts. If you have many small claims, your LDF (similar to Mod) will be much larger than if you have one mega claim). The Wt takes care of unlucky safe employers. Take another look at your Experience Modification Worksheets and say thanks Wt. The US had its best Combined Ratio last year since the 1950s and is improving even more. 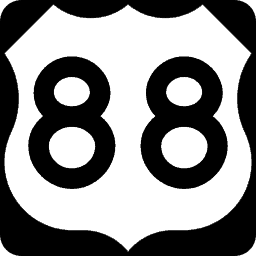 The current Combined ratio is .89 nationwide. I first heard about the incredibly low ratio at NCCI’s Virginia Advisory Meeting in September of this year. The Combined Ratio for 2016 was .94. The ratio remains under 100% for more than three years. The last time that carriers experienced a Combined Ratio this low was .93 in 2006. NCCI predicts the Combined Ration will be even lower for 2018 = .88. 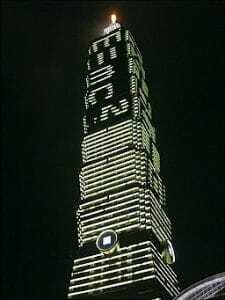 Usually, the Combined Ratio will “bottom out” with a low figure then increase to a higher level. 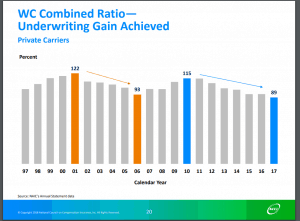 Two years of incredibly low Combined Ratios looks great for any comp-only carrier or any carrier that writes WC coverage. See the chart below for Combined Ratios over the last 20 years. For many years, the other lines of coverages – think General Liability, Property, Errors and Omissions- contained enough profit to cover the terribly high combined ratios of 1.1 or higher. $40.1 Billion net written premium in first six months of 2018. State Fund’s share of written premium has shrunk. 0% change in net written premiums. Payroll is still the main driver in premium changes. Rates and Loss Costs = -10%. Claims frequency has fallen while being offset by a moderate increase in claims cost. The South Carolina payroll figures are comparable to the US. South Carolina’s combined ratio was .97 for 2017. This equates to an 11% profit on Workers Compensation nationwide or a 3% profit margin for South Carolina. Carriers presently not able to provide more significant discounts as in the past due to their internal ROI is presently lower. Loss reserve analysis – look this up online. In 2016 – 2017 SC loss frequency fell by 6%. Indemnity claim severity increased 4%. Medical claim severity increased 4%. Frequency decreased 2% for SC in 2015 and 2016. SC does not have a burn center. There were three to four severe burn claims that experienced out-of-state fees that are not covered by a fee schedule as the injured employees had to be treated outside of SC. SC NCCI recommended 9.2% decrease for 4-1-19 loss cost filing. SC Change in Experience of 8.3% was responsible for most of the recommended loss cost decrease. US – 844 bills introduced that were WC related, 474 were NCCI states, 94 bills were enacted – 111 first responder bills. One survey question that caught my eye at the end of the Advisory Forum consisted of asking whether or not an in-person Forum or a webinar would be preferable. This leaves one to think that NCCI may be heading to webinar-based Forums. The November 29th NCCI State Advisory Forum slides are here. The file is a PDF. I recommend taking a few minutes and reading up on the US and South Carolina statistics including the Combined Ratio. Most Workers Comp Technology equates the proverbial needle in the haystack euphemism. Yesterday, I walked through all of the booths at the NWCDC Conference. Yes, it was eight hours of the same things that I saw at the first conference I attended 10+ years ago. As with my search for Workers Comp apps (ouch! ), workers comp technology or really anything new in the space is almost mythical. Usually what happens is I find some tech company that is branching out from health insurance. Yes, I realize that we all need bill review, a claims processing system, and similar companies. Many companies say that they save money, but then again how do you save on a pure expense? I came across a company that offered a simple yet amazing use of virtual reality (VR) as a great addition to workers comp technology. KARUNA – Rewire your brain. Unlearn your pain. Lincoln and his partner (woops do not have his name) transitioned over from the health market as many of the new worker’s comp technology company have over the past decade. Non-opioid – basically no drugs needed. I am reading the company’s website as I write this for the first time. Check out the link to his website. Stop by Karuna’s booth in the back right corner of the vendor area. I found another company that had no booth which was bringing back a prior workers comp technology – more on that company next week. The NWCDC conference 2018 is tomorrow. I plan to attend and go through the vendor area to see if there are any new technologies. The last few years have been a little disappointing as Workers Comp has been overall. At the New Orleans Conference, a simple one crutch was a great low tech but yet highly useful Durable Medical equipment. Some things do not need a chip in them to be a cutting-edge tool. Quite a few NWCDC conferences really had nothing to offer in the tech area. No blame can be placed with the conference. Most conferences trail health insurance greatly. My annual searches for apps in Workers Compensation have not been that fruitful either. I am in the air typing this on my phone so this may be an unclean version. If you see this article and want me to check out any vendor or class at the conference let me know. Text me at 919 495-1917 or comment below. The conference features a robotics area. This should be in the vendor area. I am going into the conference “cold”. I have researched nothing. I usually spend a few hours researching the vendors and the sessions. Due to a packed schedule that will not happen this year. The Claims based sessions usually provide a few good ideas. If anyone reading this would like to meet up please text me on my above phone number. Now that I think about it, going in cold may be an advantage. Winging it sometimes proves fruitful. I have not even signed up yet. Nothing like doing a walk in. I will be in the vendor area Thursday. See you there at the NWCDC 2018 Conference.